Veteran driver Sam Hornish Jr. is returning to the NASCAR Xfinity Series for three races this season. 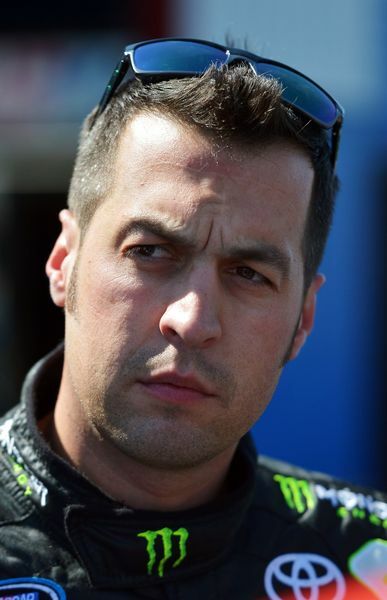 Hornish will return to Team Penske, the team that gave the Ohio native his stock car start, for three races this season. The team announced that Hornish will drive the No. 22 Discount Tire Ford Mustang in both races at Iowa Speedway, as well as the Xfinity Series event at Mid-Ohio Sports Car Course in August. "I'm really excited to return to Team Penske and get the opportunity to drive the No. 22 Discount Tire Ford Mustang in a few races this season," Hornish said the team's press release. Before making the transition to NASCAR competition full-time in 2008, Hornish competed for Team Penske's IndyCar program for four seasons. The partnership resulted in eight wins, including the 2006 Indianapolis 500, and a series championship. "Roger (Penske) and Team Penske have always been a huge part of my racing career, so coming back here feels like home. I'm also really appreciative of everyone at Discount Tire for allowing me to take the reins of one of the most recognizable cars in the garage area." In 99 starts in the Xfinity Series, Hornish has four career victories, including a win at Iowa Speedway last year. Team Penske officials said they may add additional races to Hornish's schedule over the remainder of the Xfinity Series schedule.